My private studio welcomes a variety of students including children, teens, and adults. A native of North Dakota, soprano Lynell Kruckeberg is an active performer and educator. On the operatic stage she has sung numerous dramatic soprano roles in operas by Verdi, Puccini, Mozart, Offenbach, and Humperdinck. 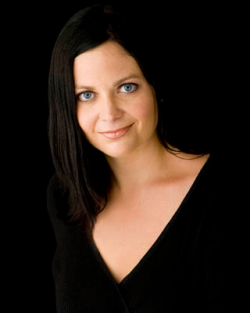 Ms. Kruckeberg has also been a featured soprano in major concert works recital. Currently on the voice faculty at Northwest College in Powell, WY, she teaches applied voice, music history, and a non-major voice class. Additionally, she maintains a private voice and piano studio in Red Lodge, Montana. In July 2014, she attended Somatic Voicework (TM) Levels 1, 2 and 3 at the CCM Summer Institute at Shenandoah Conservatory. In 2012, she earned a Doctorate of Musical Arts in Vocal Performance and Pedagogy from the University of Iowa in December 2012. She also earned a Vocology Certificate (study of voice science) from the National Center for Voice in Speech in Salt Lake City, Utah in 2012. She previously earned a Master of Music from the University of Colorado, Boulder and a Bachelor of Music Education degree from Concordia College in Moorhead, MN.Lynell Kruckeberg currently lives in Red Lodge, Montana. In her free time, she enjoys skiiing, hiking, fishing, cooking, reading, and spending time outside. Somatic Voicework (TM) provides a holistic and straightforward method for teaching voice that is grounded in voice science and in caring for every person and voice that enters the studio. Somatic Voicework and the experiences at the 2014 CCM Summer Institute has deeply impacted my teaching for the good.